Yesterday I facilitated a half-day follow-up session on John Roberto’s 21st Century Faith Formation strategies with SA Lutherans and Uniting Church people here in Adelaide. John conducted three days of training here in early September. If you haven’t seen Roberto’s recent work, there’s a very helpful set of principles here and an outline of John’s Australian training sessions here. Several participants had gone away from John’s sessions and started playing with creating websites (usefully Weebly) that provided some kind of blended learning experience. I’m sharing this as a range of examples of people seeking to implement distributed learning and engagement outside ‘gathered’ church programs. They are all ‘”works in progress”. 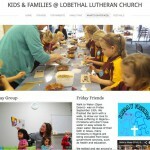 “My Messy Church” – Pastor Nigel Rosenzweig serves at Immanuel Lutheran School and congregation. 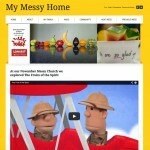 They run Messy Church and he’s created this brilliant connecting point for families outside of the event. 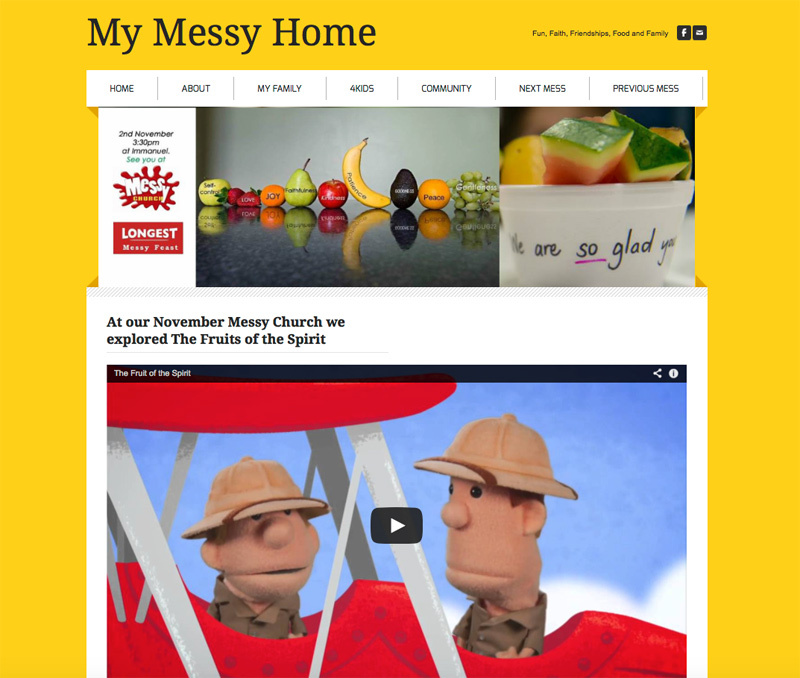 The site contains elements of the previous Messy Church themes, including video clips, and activities that might be undertaken at home. Some of the appeal of this is photos from previous gatherings. They have a page of resources around caring family relationships, a page for kids that offers pastoral support, and information about the wider Immanuel Faith Community. The site is still being developed but it’s a great start and excellent example. 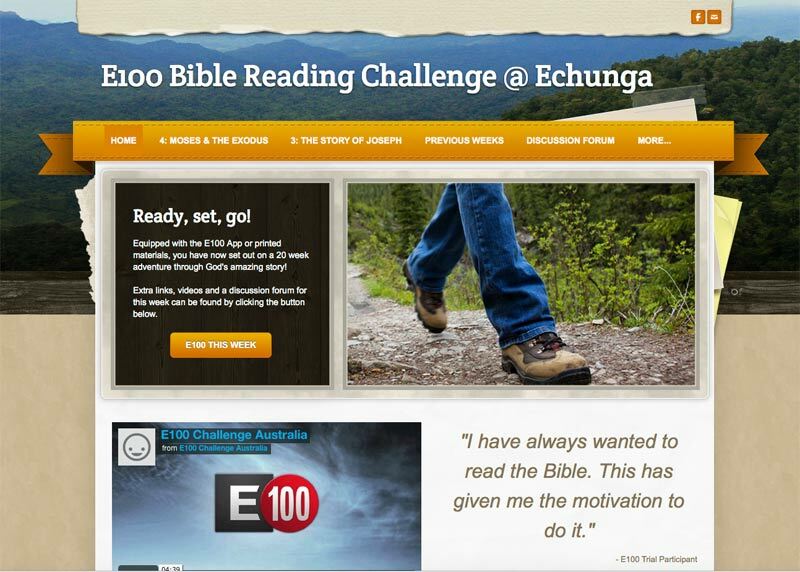 Echunga Uniting Church minister Rev Matt Carratt created an E100 Bible Reading Challenge website to connect with families undertaking the challenge at home. 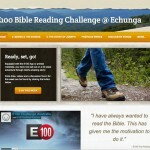 The E100 Challenge is based around encouraging people to read 100 ‘essential’ Bible passages. The Echunga site provides video material related to the books of the Bible that are read, along with family activities. There is information about small groups that can be joined, and an online discussion forum, although this doesn’t seem to be active. 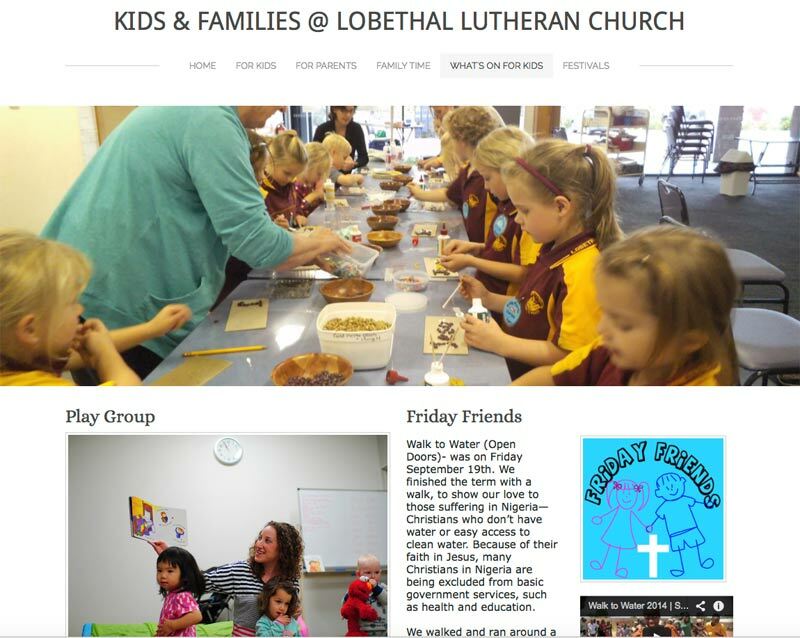 Margy Siedel from Lobethal Lutheran Church has created a Kids & Families website that promotes upcoming events, provides home-based faith activities, and helpful advice for families about forming faith and values at home. The site is bright, colourful and inviting. My own experiment related to Rosefield Uniting Church’s monthly Alive@5 family gathering for worship, learning and friendship. It’s a bit like Messy Church but different. Although I do a lot of WWW-based stuff, Weebly was new to me so I thought I’d have a play. 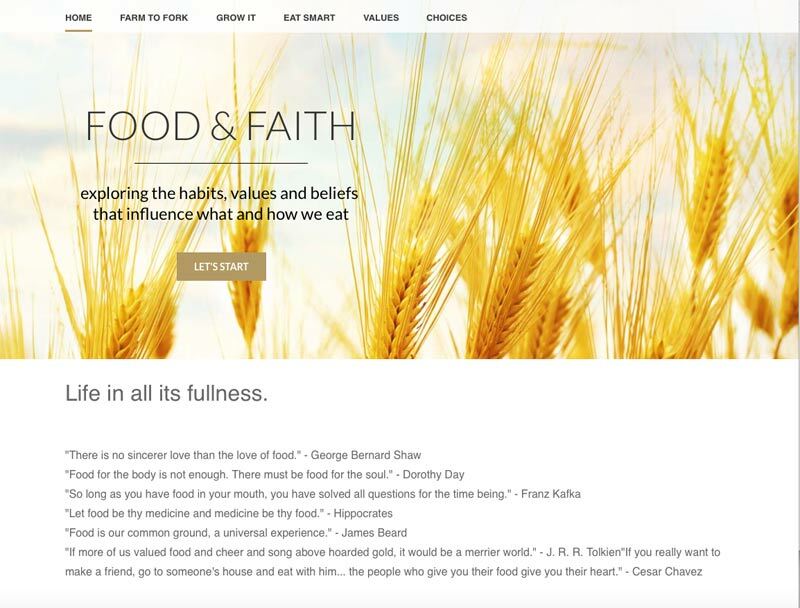 Our coming theme was on “Food”, so I decided to make a website exploring lifestyle, ethical and faith issues related to food. The idea was that people could explore the site as one of the activities on the night, and then go home and explore it further if they wished. 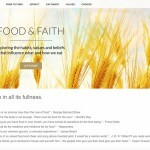 Here’s my Food and Faith site. John Roberto has a list of US churches who have participated in his workshops and are playing with online tools for faith formation. There is a list of links here, although some of them are really just church websites. Still, they are worth checking out for ideas. It was a worthwhile day of hearing what participants had been up to, talking about faith formation strategies, and thinking about next steps.